Sixt has four branches where you can get an affordable, premium car rental in Milan. Our locations are conventiently situated to make it as easy as possible for you to continue your journey quickly and hassle free. If arriving in the city by air, find us at Milan Airport Linate, Milan Airport Malpensa T1 and Milan Airport Malpensa T2. If arriving by rail, we have a branch at Milan Main Station. All our locations offer a variety of top quality rental cars and useful services to help ensure your mobility needs in Milan are met with the right rental vehicle. To make your visit to fashionable Milan even more stylish, a price comparison of our model range may reveal that an exciting luxury car is within your budget. We offer attractive rates on vehicles from some of the best manufacturers in the world such as BMW and Mercedes-Benz. No matter your budget our fleet is well stocked with a range of diverse vehicles to cater to all kinds of travelers. If needing extra leg or luggage room opt for one of our spacious SUVs or minivans. A compact car could also be a practical choice, especially for negotiating the streets of Milan. Our extensive selection for car rental in Milan is complemented by a range of additional services. Unlimited mileage is useful if planning on a longer rental period and additional driver coverage allows you to split time at the wheel. Child seats suitable for babies, toddlers and small children can be included to your rent a car in Milan, plus winter equipment like snow chains and ski racks are also available to help you have an optimal car rental experience. 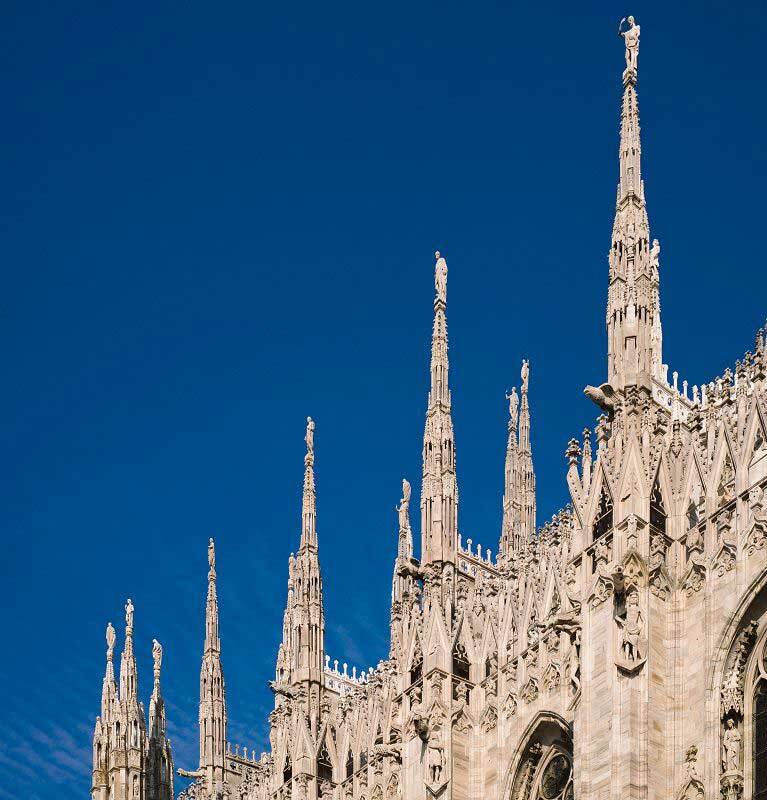 Milan is a metropolitan wonderland famous for fashion, food, art and culture and winter is no exception. With temperatures getting below the freezing point you might want to warm up in some of the unique coffee shops and enjoy a world class cappuccino or hot chocolate. A popular cafe is Bar Luce, designed by famous filmmaker Wes Anderson. As for winter events, January 6 is the celebration of La Befana, celebrated with a procession through the streets. Carnevale, on the first Saturday of Lent, is also a major celebration. If you are looking for a classy indoor activity, the Teatro alla Scala is considered one of the finest opera theaters in Europe. Milan is also a very strategic location for vacation activities in all seasons, including winter sports. You can visit the Italian Alps and shred through the powder in one of the best ski spots in the world. You can even see the white capped mountains on a clear day from the top of the Duomo. Courmayeur is a majestic ski resort located on the Italian side of the famous Mont Blanc that you can easily reach with the A4/E64 and the E25. Another winter resort and a prime location for breathtaking views is Branzi, accessible also using the A4/E64. Arriving at Malpensa Airport, the 31 mile drive into the city center will take around 50 minutes on the A8. Be aware, however, that this is a toll road so plan to accordingly. Linate Airport is closer and will take you 35 minutes on the A51 to travel the 10 miles into the city center. This road also has tolls but you can avoid them by taking Viale Enrico Forlanini, which takes roughly the same time. San Siro is just 3 miles northwest of the city center and will take around 20 minutes on the Via Monte Rosa. The main routes around Milan include the A1, which takes you to Rome, Bologna, Florence and Naples. The A4 goes west to Turin and east to Venice and Verona. The A8 is the Highway to the Lakes and connects the city to Lake Como, Lake Maggiore and Lugano. These forementioned motorways are connected to the city by the A50, A51 and A52 ring roads. There is a congestion charge for entering the city center (the former walled area) but there is plenty of parking around the ring road network to avoid having to enter this area. Or you can wait until the congestion charge doesn't apply such as during the weekend or between the hours of 7:30 pm and 7:30 am. Your rental vehicle will take you to some wonderful sites around the city, including the fabulous Duomo, the Castello and the incredible shopping arcade of the Galleria Vittorio Emanuele. Milan is a bustling city with a fantastic nightlife but the busy pace may have you yearning for a road trip to the countryside. The Valle del Ticino Park is a beautiful landscape just over 30 miles northwest of the city center. It is easily accessible along the A4 or A8 and offers relaxed picnic areas, cycling routes, hiking trails and an educational visitor center. The Italian lakes are another stunning natural area and they are easily reached by rental car from Milan. A pleasant drive north from Milan along the A9, A8 and E35 will bring you to Como, the largest town in the area and the gateway to the entire lake region. Visit the charming old town with its city walls dating from the 12th century and have a look at its beautiful cathedral between trips along the lake. 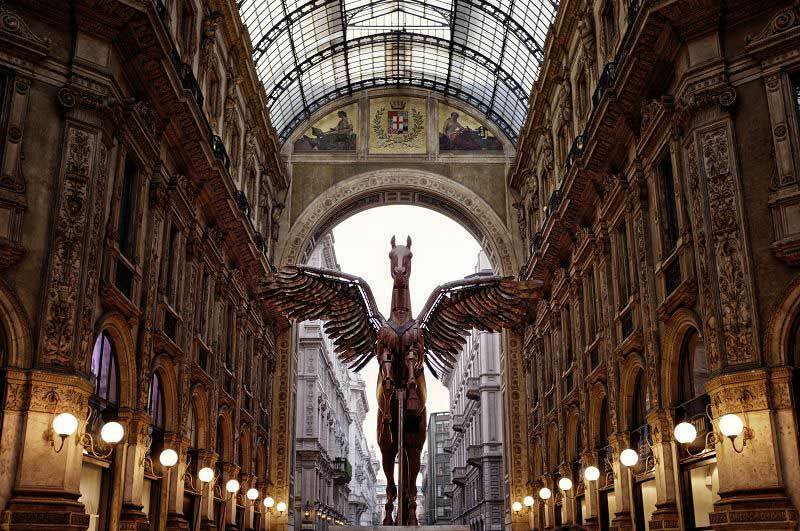 Milan is undoubtedly one of the most important financial and business centers in the world. The city's surrounds are Italy's most important industrial area and the Fiera Milano is the country's biggest trade fair. Fashion is a huge industry and this is reflected in the importance of Milan Fashion Week, which takes place twice a year in more than 40 locations throughout the city. The autumn/winter Fashion weeks for men and women are held in February or March in 2019 and the spring/summer event takes place in September or October each year. The city's fashion district, the Quadrilatero della Moda, is an incredible concentration of upscale labels. In addition to fashion, Milan is an important center for finance, design, healthcare, education and media.